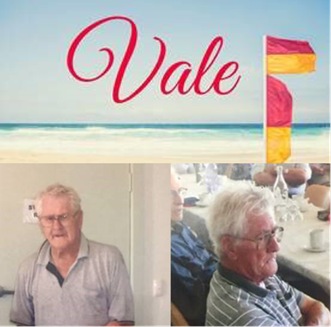 It is with much sadness that we advise that beloved SLSA, SLSSA and Moana SLSC Life Member, William “Bill” Halliday OAM, passed away on 26 March at the age of 86. Bill was an active member of Surf Life Saving for over 65 years at club, state and national level. Gaining his Bronze Medallion in 1953, Bill went on to become an instructor four years later then achieving his Examiner’s award in the ‘60’s and joining the Board of Examiners where he would contribute greatly over many decades. Surf Sports was of particular interest for Bill and he was equally at home sweeping a surf boat at Henley, coaching R&R (including his own daughters) at North Haven or officiating in various disciplines. If there was a club that needed assistance, he was more than happy to help out, such was his nature. His record of Aussies’ attendances is quite the list with Bill even keeping a diary of every Australian Championships he attended and in what capacity, including as a member of the SA state team on multiple occasions. With his cheeky grin (& often without his teeth in later years), Bill loved the camaraderie and never took himself too seriously. His last Aussies as a surf sports official was in 2014 with a further two years as SLSA life member. On behalf of the Surf Life Saving SA community, we extend our condolences to the Halliday family. Bill’s funeral will be held next Tuesday the 2nd of April at Fulham Funerals, 137 Holbrooks Road, Underdale. Members of his surf life saving ‘family’ are most welcome. The Marshall Liberal Government has formally delivered on a $420,000 election commitment to the State’s surf lifesaving clubs. This commitment includes providing $5,000 a year to every SLSSA club for the next four years to help purchase front-line rescue equipment. SLSSA President, John Baker said this was another significant announcement from the Marshall Liberal Government which will go directly to supporting our frontline volunteers. “As a volunteer movement, our clubs often rely on fundraising to help fund new equipment. This commitment by the Government will significantly reduce the financial pressure on clubs and help them deliver the best service to the community” John said. A former Nipper and local surf life saver, Damien Marangon, will join SLSSA as our new CEO from April 18. Damien began his career at SLSSA and worked at Surf Life Saving WA for more than five years, before moving into senior leadership roles. He joins us after having spent six years as CEO of the Olympic gold medal-winning national sporting organisation, Shooting Australia. SLSSA President, John Baker, said Damien’s CEO track record, understanding of the volunteer ethos, knowledge of high level support and emergency services operations, plus his lifesaving credentials, saw him beat more than 100 applicants to win the CEO role. “Damien has a strong strategic viewpoint and sound financial experience, as well as outstanding relationship management skills… all of which are essential for this role,” he said. “This will be a popular appointment locally, given Damien’s background in, and passion for, Surf Life Saving. 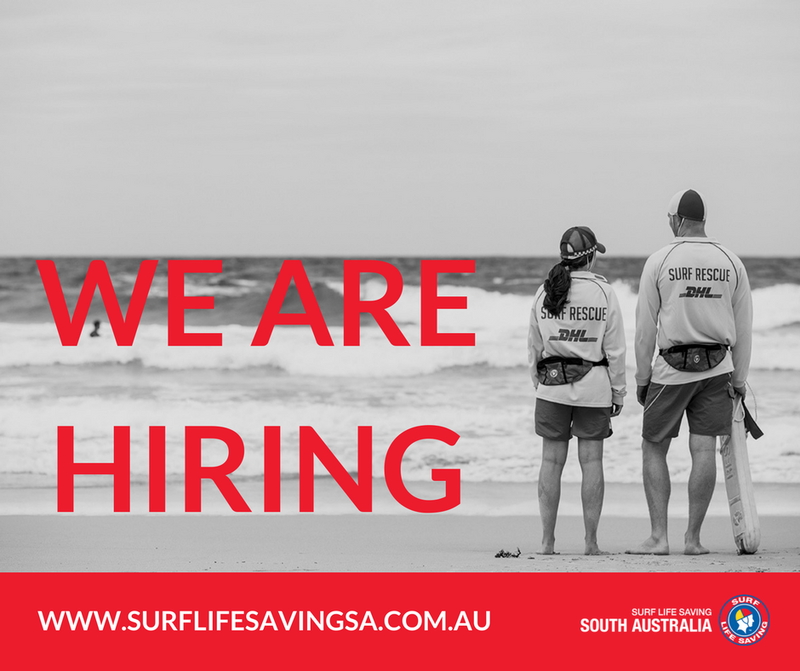 Damien said that he was excited at the opportunity to return to where he began his working life and was committed to providing strong and collaborative leadership as Surf Life Saving South Australia moved into the next phase of its growth. “I am passionate about this movement, both from a sporting and an emergency services perspective,” he said. SLSA would like feedback from members on the current design and practicality of the SLSA Patrol Uniform. Feedback will directly help shape future designs and modifications of the patrol uniform. The survey takes 9 minutes to complete and is open to all members. Surf Life Saving SA wish to announce and congratulate the following athletes who have been selected in the 2018/19 SLSSA Interstate Championships (Ocean/Beach) State Team. We wish them well as they compete at the Australian Interstate Surf Life Saving Championships at Newport, NSW, on Thursday 24th January 2019. Surf Life Saving SA wish to announce and congratulate the following athletes who have been selected in the 2018/19 Surf Life Saving SA Youth Pathway Cup Team. We wish them well as they compete at the Youth Pathway Cup at Newport, NSW, on Thursday 24th January 2019. Surf Babies and Little Lifesavers is a water confidence and aquatic safety program specifically designed for young beach lovers and their families. Adults will gain confidence taking young children to the beach by learning how to identify hazards, how to respond to a beach-based emergency and how to supervise children appropriately in the open water. Surf Life Saving South Australia is urging swimmers to ‘draw a line’ in the sand and think about any risks and dangers before entering the water over the holiday period. The new public safety campaign features Australians who have previously been caught in rips, and those who lost loved ones to rips, talking about their experiences. “Our message to beachgoers is, please stop before you enter the water, have a look and a think about what hazards might be a risk where you are and make a mental note of your plan to get help or respond if you do get in trouble. Of course we always recommend you also swim between the red and yellow flags, it is the area supervised by surf lifesavers and lifeguards who can assist you should something go wrong,” said Surf Life Saving SA Spokesperson, Melissa Davis-Bishop.